Egypt’s Administrative Court has ruled on Sunday in favour of a 2015 legal complaint filed by Al-Azhar demanding a ban on the controversial TV show With Islam, which was hosted by Islamic researcher Islam Beheiry on satellite TV station Al-Qahera Wel Nas between 2013-2015. The court convicted Beheiry of contempt of religion and destruction of well established facts in Islamic heritage in a non-scienfic way on his show. However, the court rejected the plaintiff's demand for a ban on Beheiry appearing on satellite TV stations reasoning that the right of the viewers to access to information and plurality of opinions through diverse programming and in support of freedom of opinion and expression. Beheiry has been known for questioning the credibility of some of the sources of the Prophet Muhammad's sayings, a prime source of Islamic jurisprudence, while discussing religious texts on his shows. Al-Qahera Wel Nas cancelled the With Islam show in 2015 shortly after Al-Azhar complained to media authorities against the content of the program. He spent almost one year in jail for contempt of religion on With Islam show in a separate legal case dating also back to 2015 before receiving a presidential pardon in November 2016. In May of this year, Beheiry returned to the screen with a show called The Map, which has been broadcast on the London-based Al-Ghad TV. 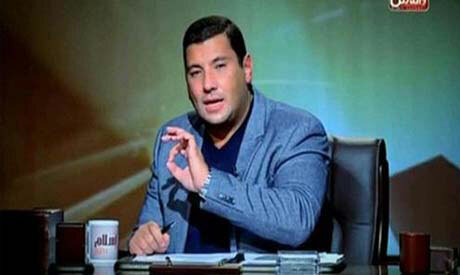 *Correction: An earlier version of this report stated that the court banned Islam Beheiry from appearing on satellite TV.